A. W. LINDBECK. The Sorento Blade, which is the most popular news medium of the pretty town of Sorento, Bond County, is the literary child of the enterprising firm of Lindbeck & Olson, the senior member of the firm being the gentleman to whose history we devote this page. Mr. Lindbeck is a native of Illinois, having been born at Bishop Hill, Henry County, August 17, 1862. He is a son of Lars J. and Christina (Peterson) Lindbeck, and is of Swedish ancestry. Lars and Christina Lindbeck left the land of Thor and Woden, and set out for the new land where legend is replaced by energy, landing in America in 1846, having come hither in company with what was known as the Bishop Hill Colony. This association, or colony, purchased a township site, but it was disorganized in 1860. Our subject's father was a brick mason by trade, and was thus employed in his place of residence. There, too, young Lindbeck was reared, and educated in the public schools. On reaching manhood's estate, he was engaged in the lumber business at Bishop Hill, and was thus employed for five years, at the expiration of which time he sold out his interest and went to Lindon, Colo.
Our subject's career as a journalist began with his advent in Lindon, where, in company with his brother, P. J. Lindbeck, who was a practical printer, he started the Lindon Rustler. While thus connected, the young man acquired a knowledge of the art of printing, and, richer by this knowledge, in 1889 he returned to Bishop Hill, and in company with Mr. O. B. Olson, under the firm name of Lindbeck & Olson, they started an independent sheet called the News. This they ran for two years, and then, in March 7 of 1891, they moved the plant to their present field of labors, and established the Sorento Blade, which is also an independent paper. Mr. Lindbeck is sole manager of the Blade at the present time, the association with Mr. Olson being in other business affairs in Bishop Hill. The office of the Blade is a busy place, for in addition to the large circulation the Blade enjoys, a large amount of job printing is done, for our subject is a thoroughly business man, who leaves no stone unturned in developing his business interests as far as possible. Mr. Lindbeck's sister Lavinia is the wife of R. H. Northcott, Cashier of the State Bank of Akron, Colo. Our subject's own domestic happiness is in the keeping of a lady, who, prior to her marriage, was known as Miss Almeda C. Krans, a daughter of Peter O. Krans, a prominent business man of Galva, this State. Mrs. Lindbeck was born in Bishop Hill, September 5, 1863, and her marriage with our subject was celebrated October 30, 1885. They have had four children, of whom three are living, and are as follows: Lester Anson, born November 20, 1887; Marguerite C., April 3, 1890; and Roy Clifford, August 20, 1892. Fraternally, Mr. Lindbeck is a member of the Knights of Pythias, and also of the Modern Woodmen. 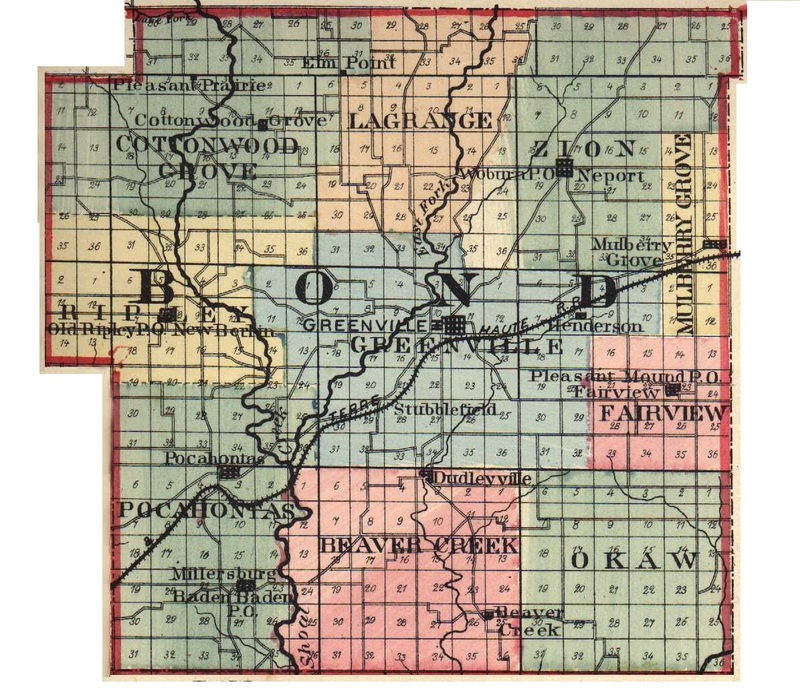 Extracted 04 Dec 2016 by Norma Hass from 1892 Portrait and Biographical Record of Montgomery and Bond Counties, Illinois, page 169.